Note: People on Tourist Visa Need to sumbit Passport Copies one day Before The Trip for approval and on Residence Visa in UAE Need to Sumbit passport copies and visa copies 3 Days before the trip. 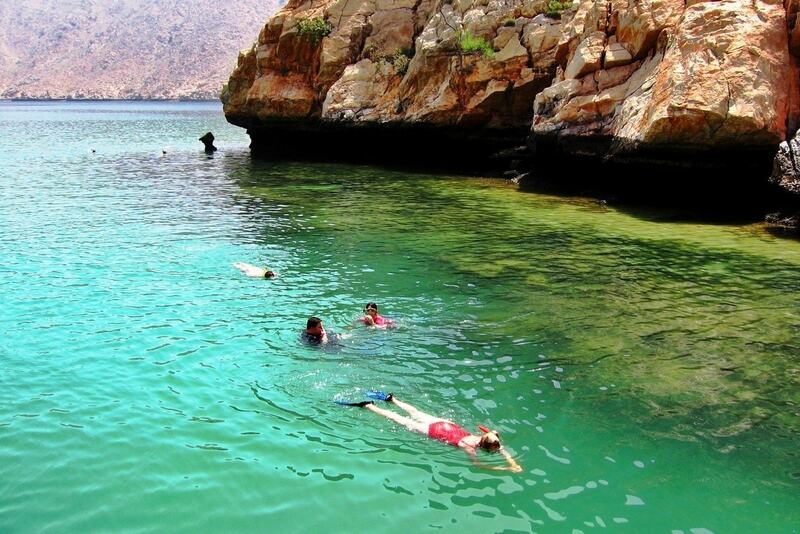 Be enticed by the calm and clear waters of Musandam in Dubai. 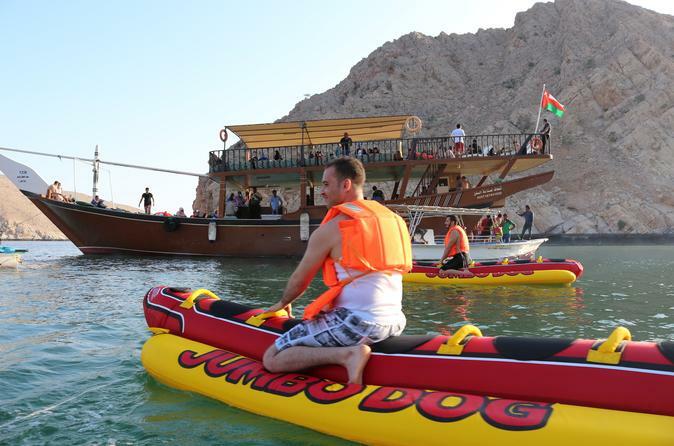 Get aboard a traditional Arabic dhow, with comfortable seating and lots of activities to keep you entertained. 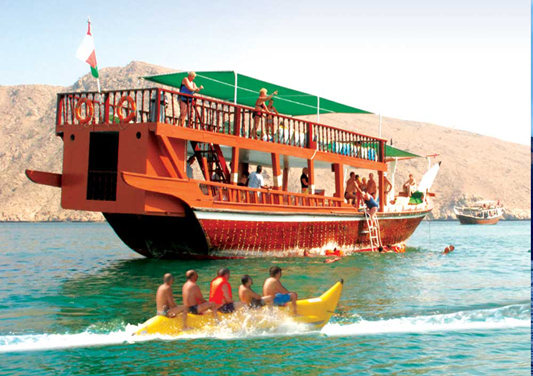 Cruising through the Fjords of Musandam, Strait of Hormuz and the coast line of Dibba, enjoy a lavish buffet lunch, coupled with refreshments. Enjoy the scenery of this picturesque landscape away from the hustle bustle of the city. 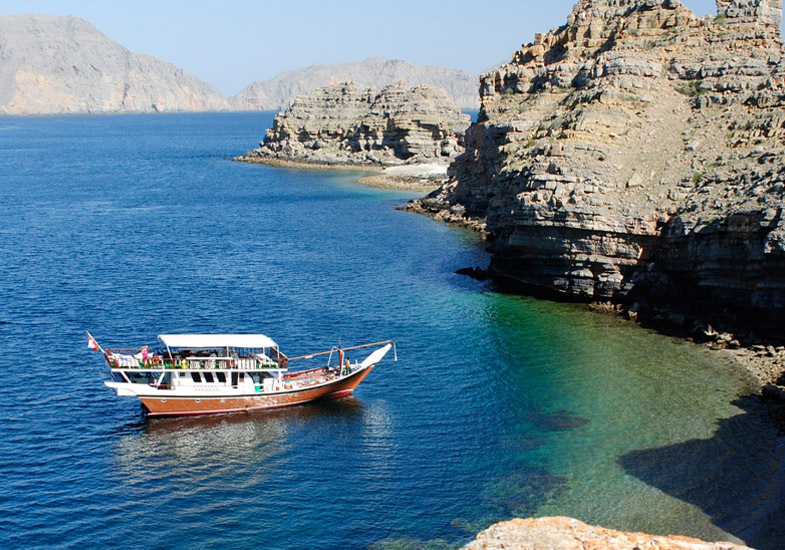 Dolphins may also be spotted occasionally.Contact Us musandam tour in Dubai to schedule the most exciting part of your visit. Our friendly representatives are available to assist you. Starting with an early morning from the hotel / residence in Dubai, we proceed toward the immigration check point where each individuals travel documents are checked by the inspectors. 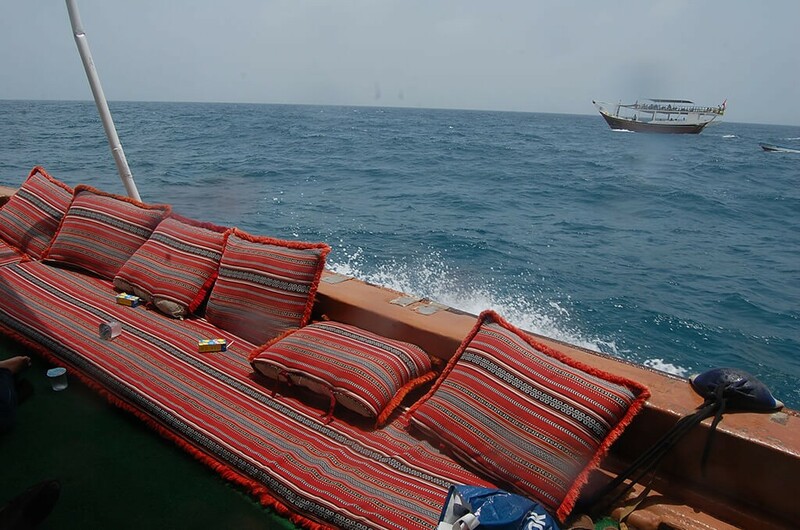 We then head towards our Dhow docked a few minutes away from the check point. 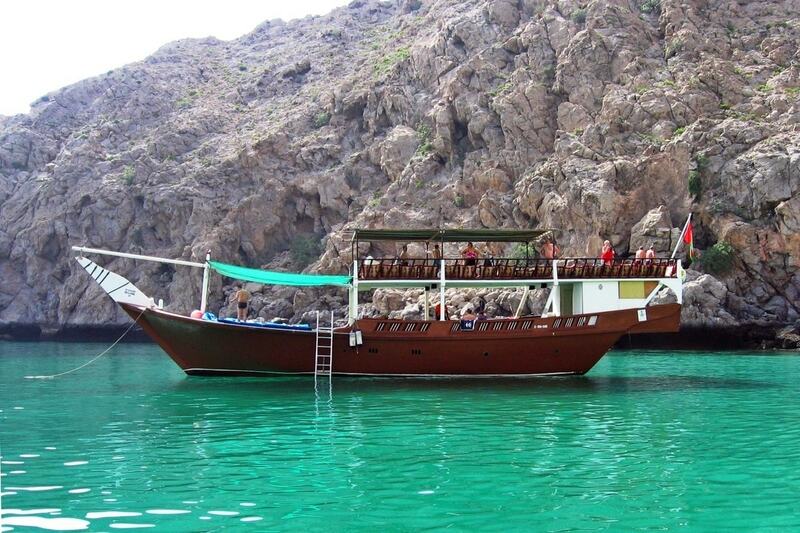 Upon completion of the boarding procedure, our traditional 2 deck dhow sets sail towards the Sandy Beach in Musandam. 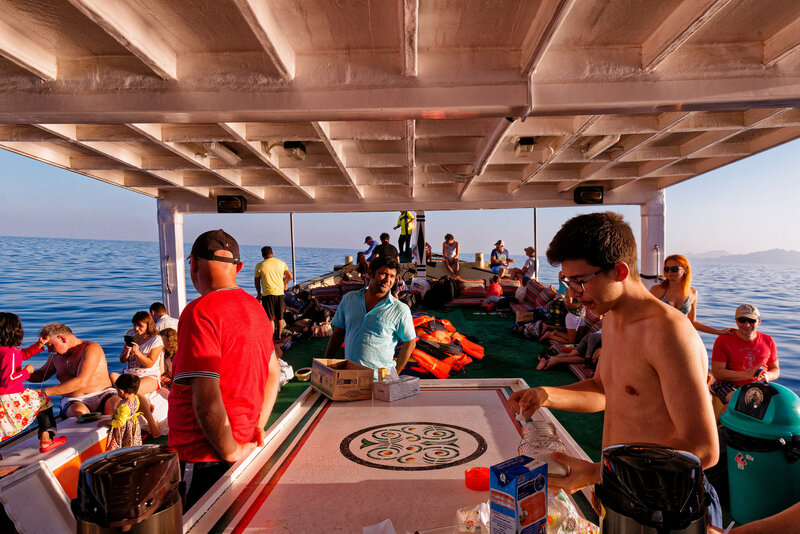 On the course of this journey you may also be able to spot dolphins or enjoy the sights of them swimming along the dhow. Fresh fruits are served aboard along with water and soft drinks. 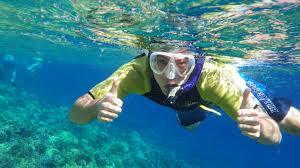 Wearing the life jackets provided is strongly recommended. 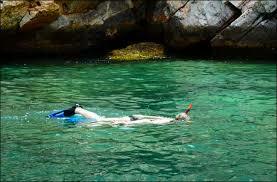 After enjoying the sights along the way the boat docks at the short distance from the beach. 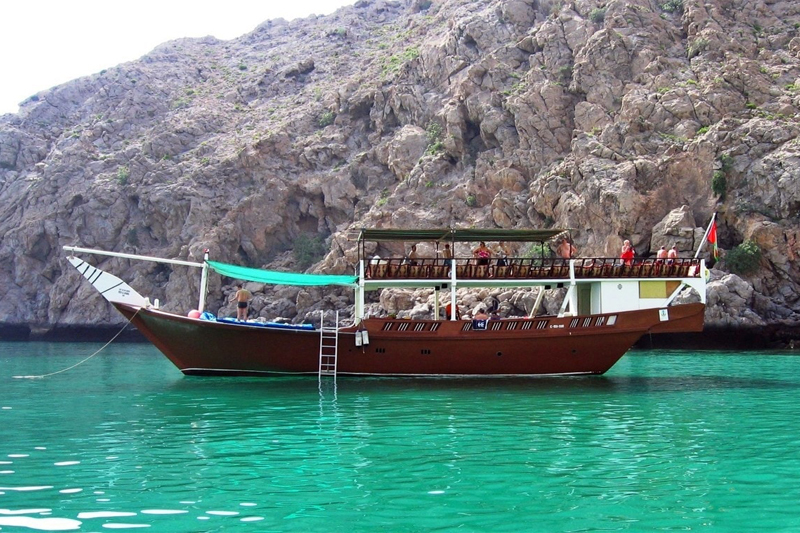 Then begins the speed boat tour, which allows you to visit a popular cave in the area. 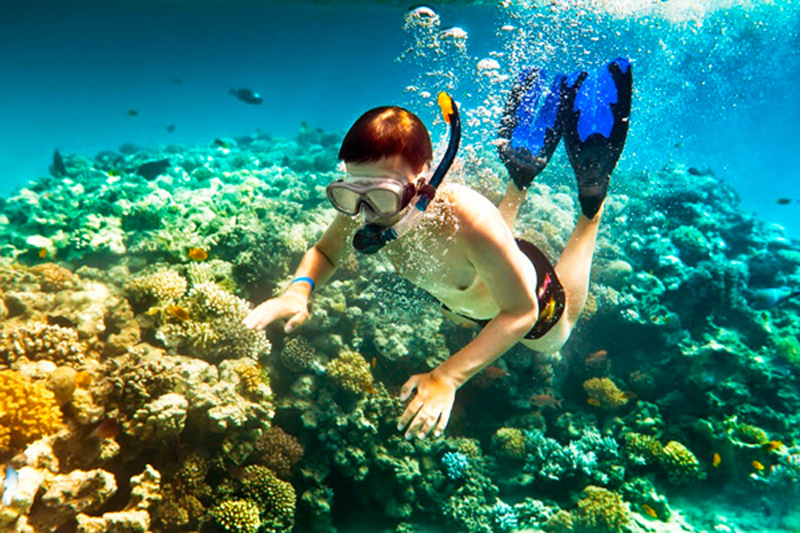 Guests are then dropped to the beach where they can enjoy the sun or choose to snorkel. 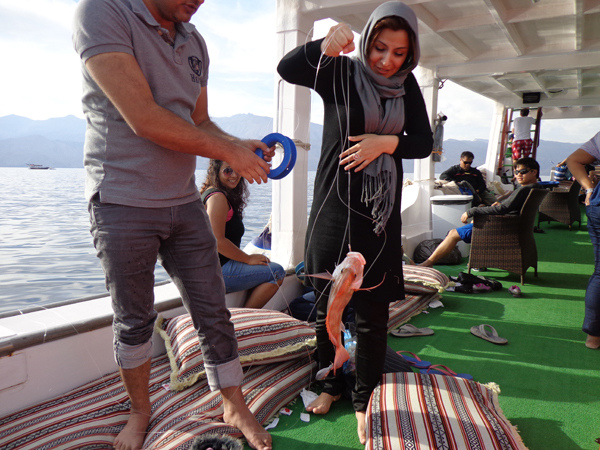 Guests may also choose to return to the boat and use the one line fishing equipment available aboard the dhow. 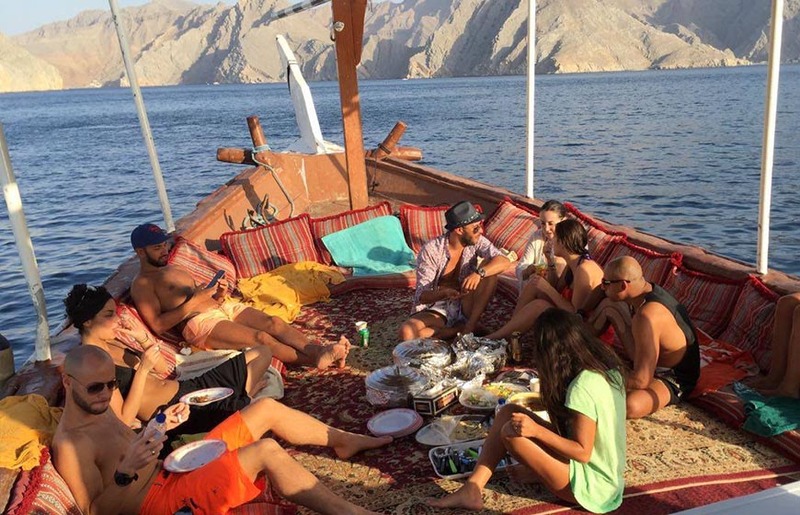 Once back from the beach, the lunch buffet is displayed aboard the dhow. 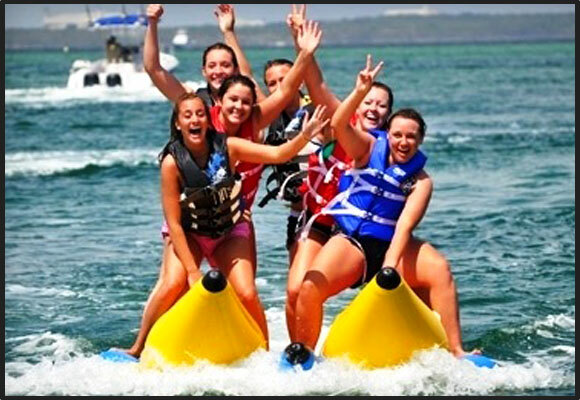 We then set sail towards the dock and return to your hotel / residence.